We shot 10 different loads of 10mm self-defense ammo into ballistic gel with a Glock 29 pistol. 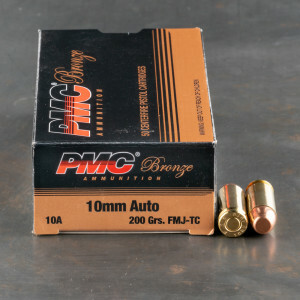 10mm ammo is one of the most underappreciated handgun cartridges on the market. 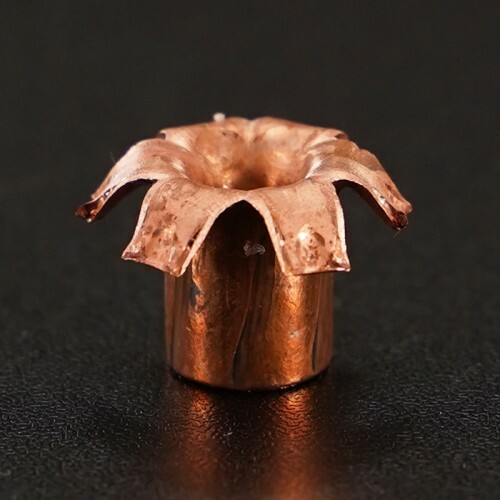 The brainchild of legendary pistoleer Jeff Cooper and engineers at ammo manufacturer Norma, these rounds were designed to be a fighting round and to give an automatic handgun the same power capability of a revolver. The 10mm easily exceeded 357 magnum loadings, but users had a much higher capacity than a revolver. 10mm ammunition could’ve easily been forgotten about and left as a small page in the book of firearms history. Fortunately the FBI adopted the 10mm pistol after a shootout in Miami in 1986 that left their agents outgunned even though they outnumbered the two assailants. The 10mm experienced a short service life with the FBI, but has since gained a cult like following among American civilian shooters. 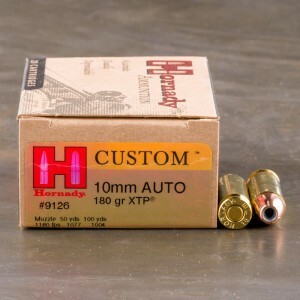 Check out our line-up of 10mm ammo for sale at the links below with jacketed hollow point rounds as well as full metal jacket rounds for range training in our arsenal. 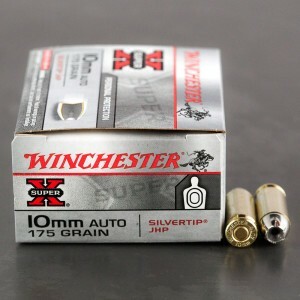 If you see it listed on our website, we have the rounds in-stock and will ship the cartridges to you fast. 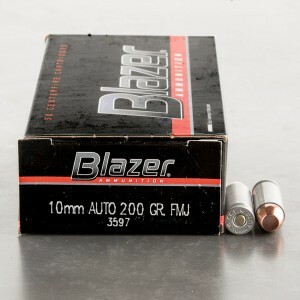 Look for 10mm ammo for sale with a wide variety of bullet types as it is a pretty versatile caliber. The 10mm pistol has the ability to be loaded down to be soft shooting and comfortable with lighter weight bullets, or can literally be loaded for bear with a 220 grain hardcast load from Buffalo bore. 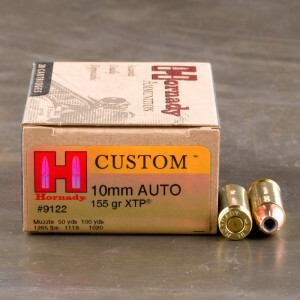 Either way, be sure to check out the in-stock selection from great brands like Hornady, Federal and PMC. I ran a couple dozen types ammo thru my unmodified Glock 20 and this was hands down the most accurate at 25 and 50 yrds. I would not have suspected that but the paper don't lie. 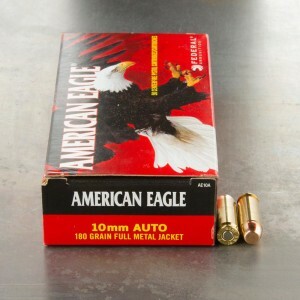 Great practice ammo, and the brass casing means I can reload. 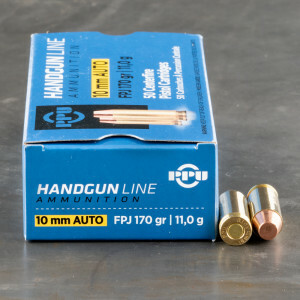 If you're new to 10mm ammunition or just have ea few questions about how it's typically used, you've come to the right place! How Does 10mm Auto Compare to .45 ACP? 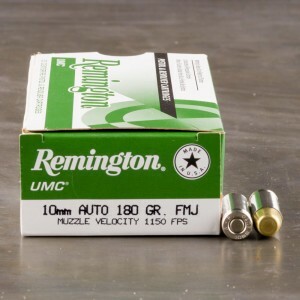 The 10mm Auto cartridge and .45 ACP ammunition are often compared, but they are two different rounds with very different results at the range and in the field. 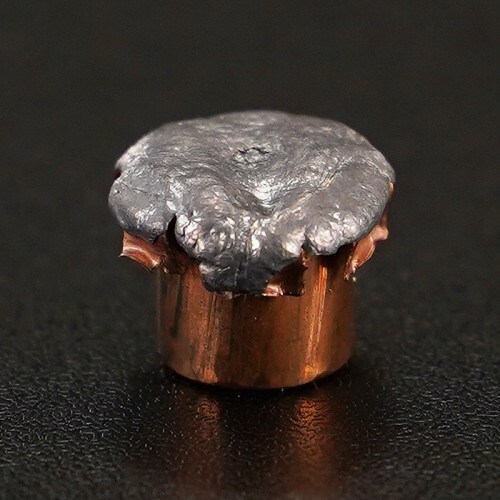 While there are differences from load to load, you will generally find that the .45 ACP caliber is more powerful than the 10mm Auto. 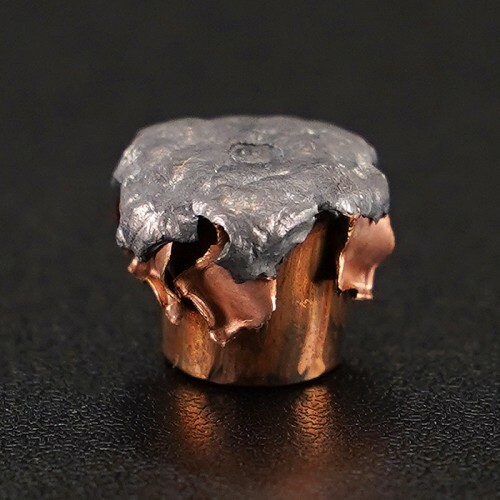 The .45 ACP usually is loaded with a larger bullet, although there is overlap in bullet weight, and although the 10mm tends to fly faster, the .45 ACP delivers greater muzzle energy. However, downrange energy can be better for the 10mm Auto. 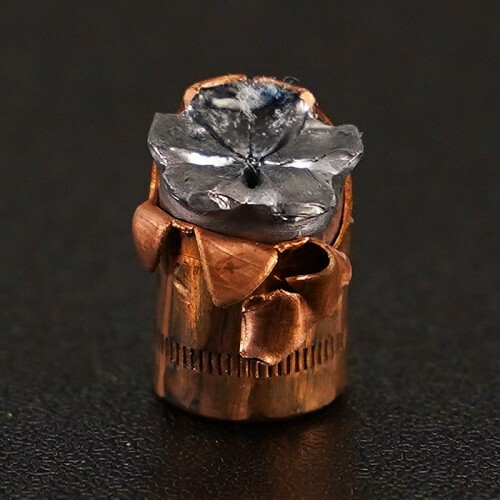 In most cases, you will find that 10mm Auto is cheaper on a per-cartridge basis than .45 ACP. 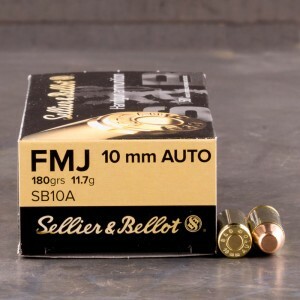 Is a “.40” Caliber Round the Same as a 10mm Auto? No. 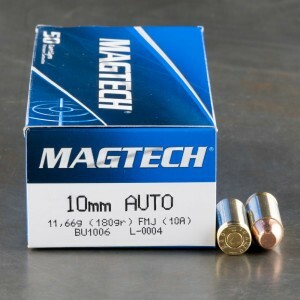 While 10mm Auto cartridges have a bullet diameter that is .4 inches, it is not the same round as other cartridges labeled with “.40” in the name. 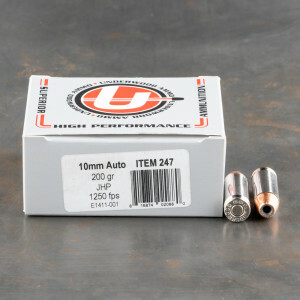 For example, 40 S&W ammunition, which used specs from the 10mm Auto during development, is a distinctly different cartridge. 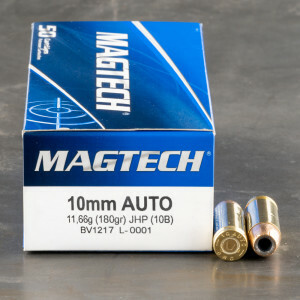 On this page, you will only find 10mm Auto cartridges. Can .40 Caliber Pistol Shoot 10mm Ammo? The 10mm cartridge is actually a bit longer than the .40 S&W. This difference in size can create problems with cycling. Also, the two cartridges fire at different pressures (the .40 S&W was designed for lighter recoil) so there are differences in how the cartridge will function internally as well. That said, many people fire both cartridges through the same handgun. 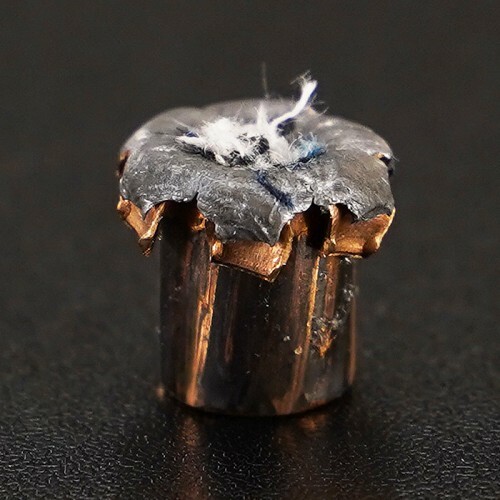 You will want to conduct thorough research, consult experts, and check the manufacturer’s recommendations before interchanging these cartridges in the same firearm. Is the 10mm a Good Self-Defense Cartridge? 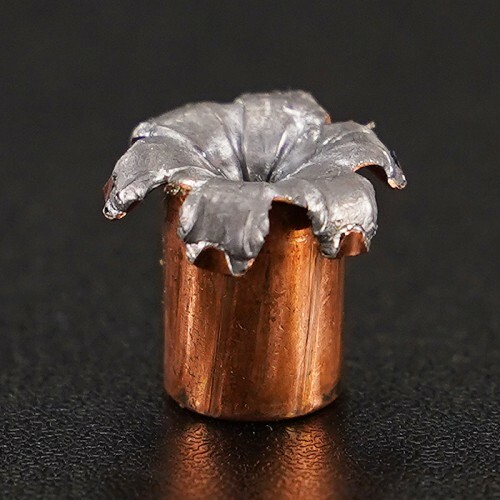 Although it doesn’t share the mass popularity of the 9mm Luger or .45 ACP, the 10mm is a highly capable self-defense round that can deliver effective ballistics to a target. It can deliver muzzle speeds well over 1,000 feet per second and gives muzzle energy at about 600 to 800 foot-pounds, depending on the specific product. 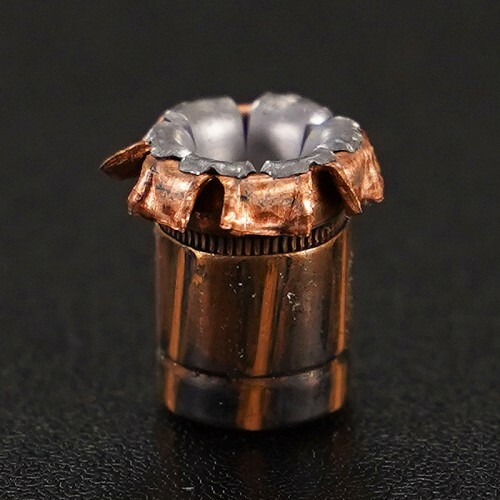 This won’t make it the most devastating round available, but for general users this is a perfectly capable round for self-defense and concealed carry. 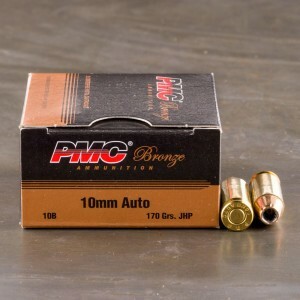 When choosing 10mm Auto cartridges for personal defense, look for rounds that have expanding bullets, such as hollow points or jacketed hollow points. 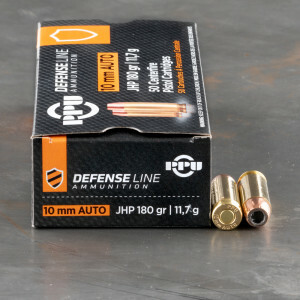 While the 10mm is a good product for personal and home defense, it also finds use at the target range. Because it tends to use lighter bullets but still delivers speeds around 1,100 to 1,200 feet per second, it can maintain straighter trajectories. 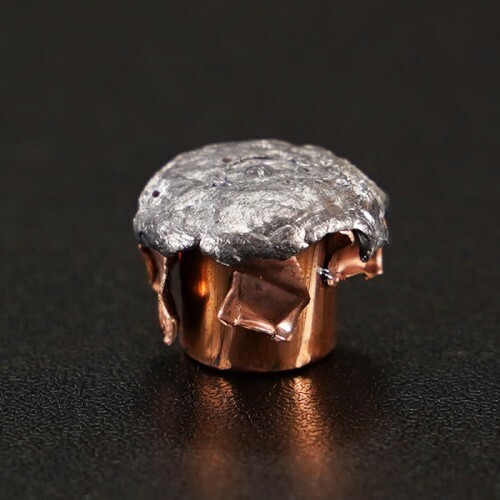 This makes it a popular round for target shooting among some circles, so if you’re using them at the range, look for full-metal jacket rounds for smooth feeding and less fouling.